* WHAT IS "THE CURVE"? 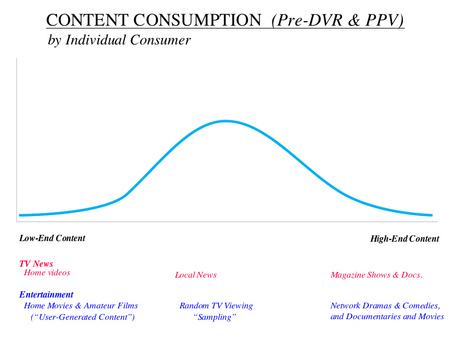 First, it's a pattern of content consumption. More specifically, it's the contrast between two different patterns of video content consumption: a contrast between how all of us used to consume video content in the fading world of scheduled "traditional media," and how more and more of us now enjoy video in the ever-growing, on-demand and interactive world. It's a concept I started noodling around with a couple of months ago, and recently started showing to a few friends who work in various corners of the media industry. 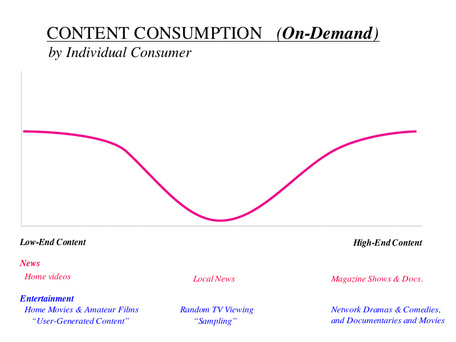 Below is the curve for TV News and Entertainment. So, what's the significance of the Curve? I'm still noodling with that — but almost all the folks I've showed it to agree that, unlike Gertrude Stein's opinion of the city of Oakland, there's at least some there, there. Or, more to the point, in the words of Stephen Stills: "There's something happening here. What it is ain't exactly clear." 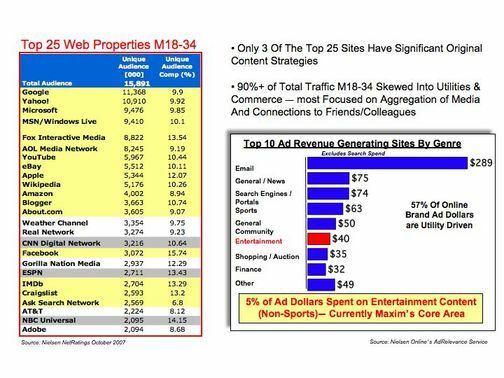 But the pattern is real, and I do think it tells us something about the direction in which content consumption is heading — and that has a good deal of significance for content producers, programmers and distributors. More than just a place to post my musings on the curve, this blog is a place where I hope others will post their responses, thoughts and challenges. A place to think collaboratively along some of the tangents of the curve. It's also a place where I'll be posting some examples of other trends that I've been encountering, and even some interviews with folks who work and play on various slopes along the curve. The curve on the bottom-right looks pretty familiar, doesn't it? Makes sense that The Warshaw Curve, which is about the effect of disruptive technologies — like video on demand, YouTube, et al — would match up with what biologists refer to as the curve for "Disruptive Selection." Here at CES in Las Vegas, Sling Media is showing off their new "SlingCatcher" — the reverse cousin of their Slingbox. While the SlingBox let's you watch your home TV on your computer — even if you're on the other side of the globe — the SlingCatcher lets you play anything from your computer on your TV. So, along with "What you want, when you want, and where you want," now you can add: "how you want it" (i.e. on the big screen or the small screen). 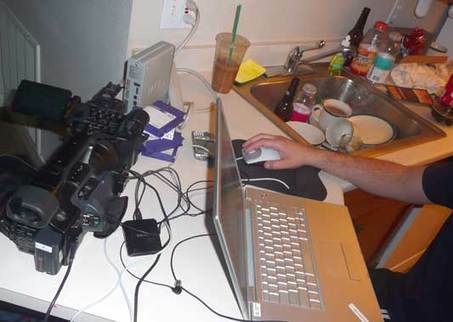 As Daisy Whitney of TVWeek points out in her comment to this post, I originally neglected to mention that the SlingCatcher combined with the SlingProjector lets users "Sling" TV-to-TV, as well as Web-to-TV. Along with giving users the ability to watch their bedroom TiVo and their laptop on their living room TV, it also lets them watch their home media on TV sets located outside of the home...further decreasing the desire to ever read a book again, or rent a movie from the local Blockbuster near their country house. More viewing of webclips (left-side of the curve!) and more viewing of episodes of their favorite shows like "House" (the right-side of the curve!) and less of the mid-level content — the stuff that falls out of the middle of the Curve in the post-DVR world. Makes sense that The Alden Curve, which is about the effect of disruptive technologies — like video on demand, YouTube, et al — would match up with what biologists refer to as the curve for "Disruptive Selection."